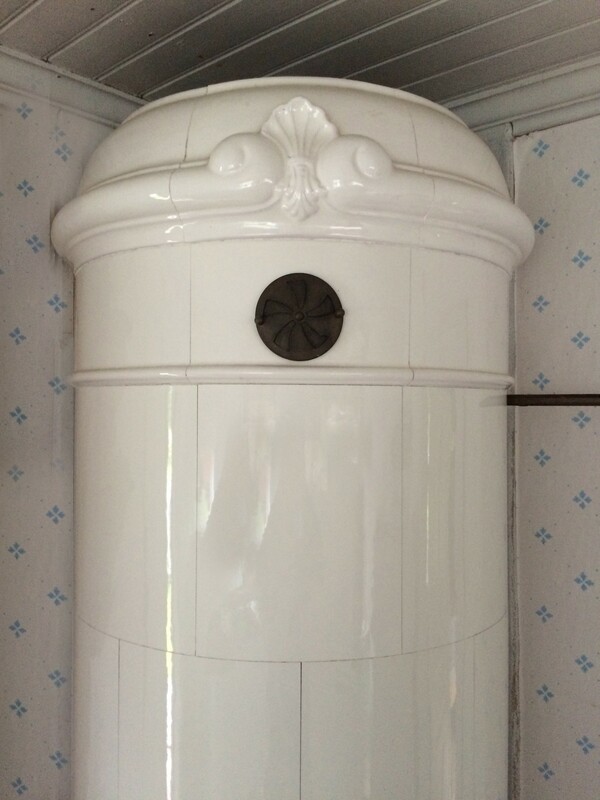 Round all white tile stove with shell decorated crown. Made in 1910. Height 238 cm. Plinth diameter 75 cm. 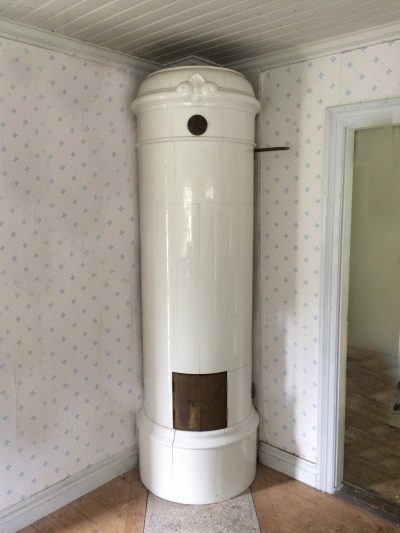 The stove has not been used for 100 years and is in mint condition.